The State Board of Education approved school corporation A-F letter grades Wednesday for the 2016-2017 school year. Of the state 289 school corporations 48 earned an A on for 2017. That’s more than double the number of districts that earned the top grade last year – 23 corporations. 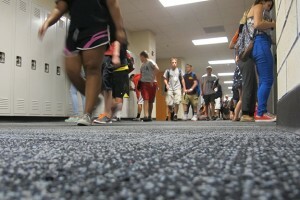 Of the districts assigned 2017 grades: 149 assigned B; 63 assigned C; Six assigned; One assigned F.
The state’s two largest school corporations saw no change in grade: Fort Wayne Community Schools is a C and Indianapolis Public Schools is a D.
The one district assigned an F is Cannelton City Schools in southern Indiana. The corporation fell from a B grade. Gary Community Schools has received an F since 2011. The district is one of 22 appealing their unreleased assigned grade. The state board will vote on appeals at a future meeting.